2018 has come to a close, and with the end of the year brings a period of reflection and appreciation for all that we’ve accomplished as a team at SPRITZ LLC. We love the clients we partner with and are incredibly proud of the branding and design projects we’ve executed. 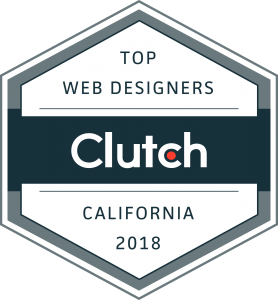 We’re especially excited to announce that Clutch has included SPRITZ in their report of the leading branding and web designers on their platform in 2018. We decided to join Clutch because we recognize the importance of our online presence as a business, and Clutch is a heavy-hitter as far as great design and branding. In just a few short months, SPRITZ LLC skyrocketed to the top of Clutch’s ranking of the best brand consultants not only in our area, but also nationwide! It’s a very exciting moment for our team because there are thousands of companies on Clutch, ranging from app development companies, to IT services firms, to PR agencies. Their segment for branding agencies is constantly growing and becoming more competitive, and it’s important to maintain a fully developed profile on Clutch to stand out as one of the best. SPRITZ has years of experience in the web design realm and we were able to earn a top score from Clutch for our services, the esteemed client base we’ve developed, and the work in quality branding and web design projects we’ve delivered for our partners. This score, along with reviews from our clients, are what have contributed to our ranking on Clutch as a top branding company and web design agency in 2018, and on The Manifest (Clutch’s sister-site) as one of the best PR firms worldwide. Being a Leader on Clutch is a wonderful award to receive, but the best honor of all is getting to work with some of the best clients, helping them to boost their brand, share their message, and increase their market reach. We look forward to partnering with more firms in the new year!